The "Thun Goliath", while at anchor, suffered a main engine computer malfunction in position 51 47.78 N,005 09.77 W, on Jan 4, 2019. The vessel arrived at Milford Haven on Jan 10. The "Thun Goliath", while at anchor off Milford Haven, coming from Liverpool, with a crew of 13 on board, experienced a main engine computer malfunction in position 51 47.78 N, 005 09.77 W, on Jan 4, 2018, at 7.15 p.m. The crew could not use the main engine but had auxiliary power. An engineer was sent to rectify the issue during the weekend Jan 5-6. 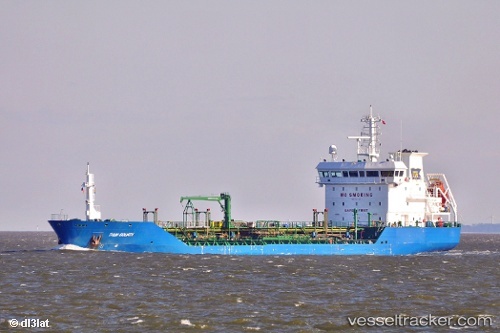 The vessel was to remain at anchor in pos. 51° 45.43' N 005° 14.28' W in St. Brides Bay until repairs have been carried out. On Jan 10 it arrived in Milford Haven.